In re-starting a new life at the age of 58, one of my greatest challenges is (now) decision-making. Even small decisions are very difficult, and I’m finding that larger decisions are almost paralyzing. My nearest and dearest friends tell me that I’ve made much progress in the last few months, and I’m so grateful for every encouraging word, but when it comes to hard choices, I don’t do very well. Last night, I looked at a house that was so appealing for so many reasons. It’s brand-new on the market and will probably sell quickly, so I need to decide soon. And yet, after seeing the house, the old familiar chest pains returned, as did the sleepless night and morning panic attack. The house has so many good features, such as a NON-OPEN floor plan. It has rooms and walls - a big plus. It has a functional kitchen with white appliances - another big plus. I loathe stainless steel. The roof is less than five years old, so it should last the rest of my life. That’s good. Inside, the 29-year-old home has popcorn ceilings in every room (ick), an unusually small master bedroom (drat), no sunporch (yikes) and very few windows (see pictures). I’m a solar-powered soul, and I live on light. The mechanical systems (plumbing, electrical) are first class, but the HVAC is 15+ years old and inefficient. The best part - the lot. It’s just the right size, delightfully landscaped and the rear is fully fenced. And - it has a massive 1,008-square-foot garage in the back corner. With an epoxy floor. And oversized doors. And a second-floor. That garage makes me swoon, and I’m not even sure why. Maybe it’s my inner-hoarder coming out. Maybe it’s 10 months of being stuffed inside a small rental, with all my worldly possessions in storage. And perhaps the other “best part” is the neighborhood. It’s a lovely neighborhood and all the lots are at least 125-feet wide. It’s not in the wilderness, and yet everyone has their space. The last bad thing - it was built in 1988, during a housing boom in this area. It was not custom built, and I see some evidences of it being economically constructed. But do I need a house that will last 100 years? No. I need a house that will last 20 years. After that, I’m leaving for assisted living or heaven (undecided as of yet). So that’s the story. I welcome opinions, as I try to navigate this difficult decision. The best feature of this house is the lot. 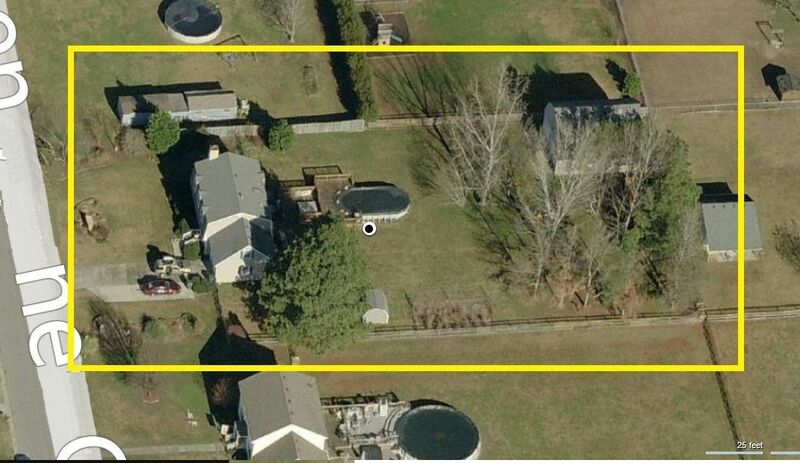 It's .7 acres - big enough for privacy but not overwhelming, and well landscaped. And it's all fenced and ready for me and Teddy to move right in, and start the next chapter of our life. 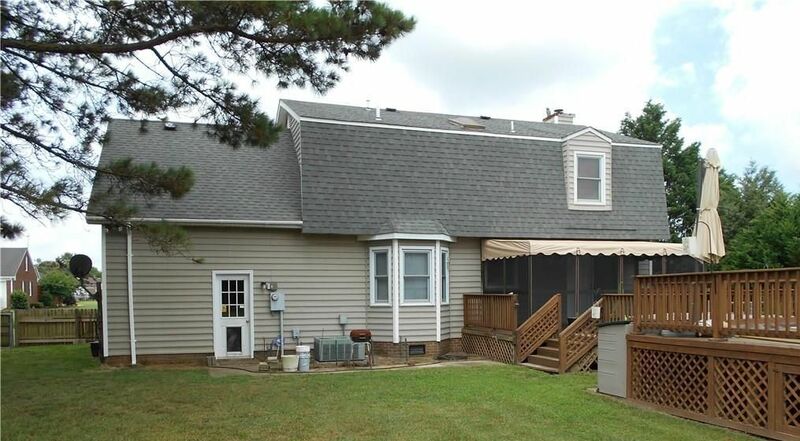 There's a 1-1/2 car attached garage, but there's a 1000+ square-foot garage in the back yard. 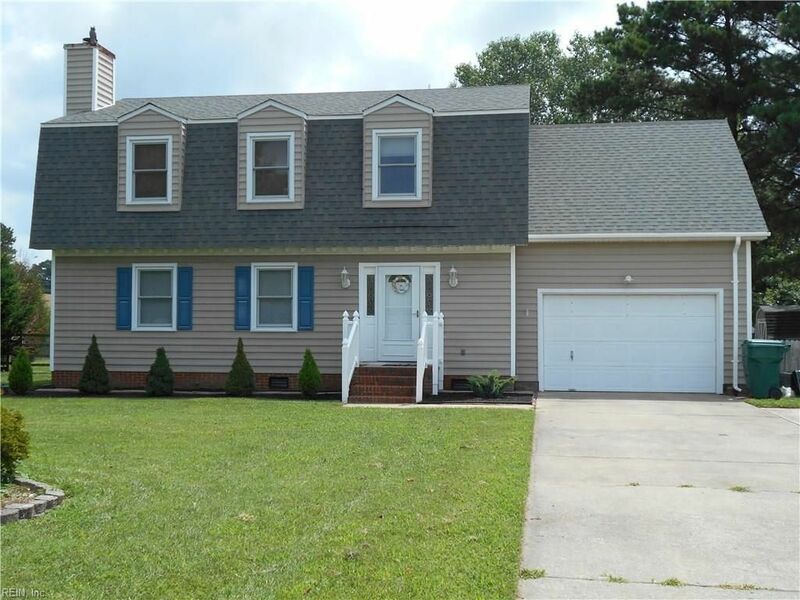 The house has excellent curb appeal, and the lawn has been beautifully maintained. As you can see from the rear, it just doesn't have many windows. There are only two windows on the side of the house, and only one on the second-floor rear. And yet, it does have a new roof...and that's how these internal conversations go - back and forth. You can read one of my most popular blogs here.